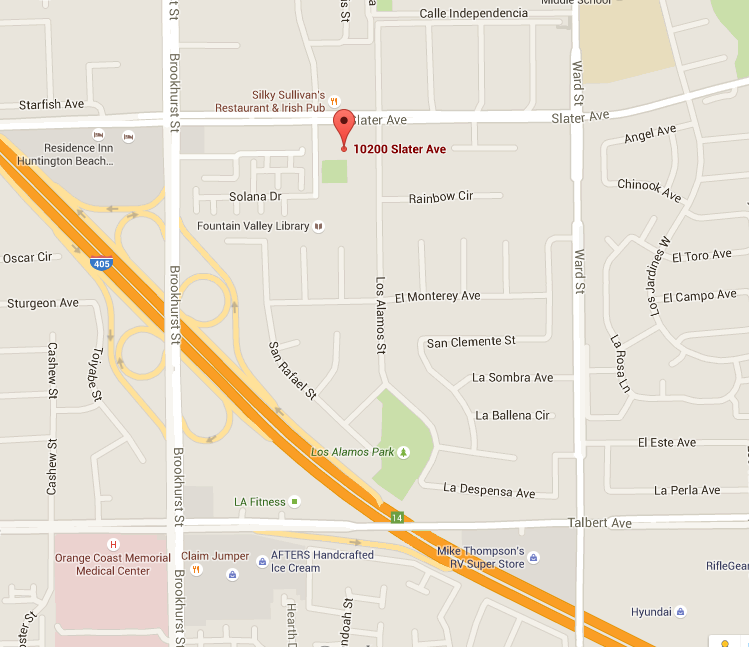 Fountain Valley Sign On Agenda Again! A friend sent me the following electronic message sent by the City of Fountain Valley regarding another Public Hearing on Tuesday, December 15, 2015 regarding the onerous sign proposed near the Fountain Valley/Costa Mesa border along the I-405 Freeway. Nice timing... on a Friday night, on the cusp of the holiday season. ANY OFFICIAL REPRESENTING COSTA MESA? For those of you nearby this location, you may wish to inquire of OUR city officials early next week to see if anyone is planning to attend this meeting. 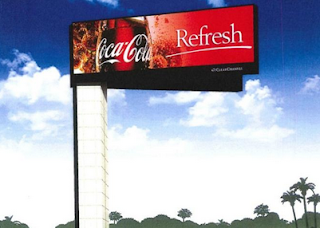 PROPOSAL: PETITION SUBMITTED BY JOHN DUONG OF CLEAR CHANNEL OUTDOOR FOR A DEVELOPMENT AGREEMENT AND LEASE AGREEMENT TO ALLOW A NEW ELECTRONIC MESSAGE CENTER (EMC) SIGN TO DISPLAY COMMERCIAL ADVERTISEMENTS TO MOTORISTS TRAVELING IN BOTH NORTHBOUND AND SOUTHBOUND DIRECTIONS ON THE ADJACENT INTERSTATE 405 FREEWAY. THE PROJECT SITE IS LOCATED AT 10955 ELLIS AVENUE ON AN APPROXIMATELY 2.75 ACRE PARCEL OWNED BY THE CITY OF FOUNTAIN VALLEY AND SHARED BY THE CITY’S RESERVOIR NO. 1. A DESCRIPTION OF THE PROPOSAL IS ON FILE IN THE PLANNING DEPARTMENT AT CITY HALL, 10200 SLATER AVENUE. IN LIEU OF ATTENDING THE MEETING, YOU MAY SUBMIT WRITTEN COMMENTS IN FAVOR OR IN OPPOSITION TO THE PROPOSAL PRIOR TO THE HEARING. IF A PROPOSED ACTION IS CHALLENGED IN COURT, THERE MAY BE A LIMITATION TO RAISING ONLY THOSE ISSUES RAISED AT THE PUBLIC HEARING DESCRIBED IN THIS NOTICE OR IN WRITTEN CORRESPONDENCE DELIVERED TO THE CITY COUNCIL AT OR PRIOR TO THE PUBLIC HEARING. FOR ADDITIONAL INFORMATION PLEASE CALL THE PLANNING DEPARTMENT AT (714) 593-4425. A little reminder for you.... this weekend the folks from Costa Mesa First - those sponsoring the so-called "Smart Growth" initiative - will be gathering signatures on their petitions on the Eastside of Costa Mesa. There will be tables set up at Harper Park on Tustin Avenue and at the corner of Bay Street and Orange Avenue on both Saturday and Sunday from 9:45 a.m. - 3:00 p.m. AND representatives will be going door-to-door in Eastside neighborhoods to inform residents and gather signatures. You can get a head start by visiting their website, HERE, which includes links to the initiative itself AND the city summary that will appear on the ballot if sufficient signatures are gathered. You will also find a simple chart which tells you what kind of projects will require voter approval. When the folks come knocking, take a few minutes to let them educate you about the initiative, then make your decision as to whether to sign it or not. 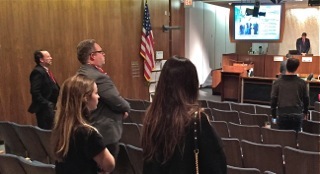 The Costa Mesa Bikeways and Walkability Committee met again Wednesday night for the final time this year and ended it on a very positive note. After months of painstaking collaboration they put the final touches on their Goals, Objectives, Policies and Programs, which will be ready for presentation to the City Council early next year so it can become part of the General Plan Update. Vice Chair Cynthia McDonald ran the meeting. Chair Ralph Taboada was absent, recovering from surgery. Attending were members Tony Capitelli, Jim Erickson, Richard Huffman II, James Kane, Jim Kerins, Andrea Marr, John C. Merrill and Brian Valles. 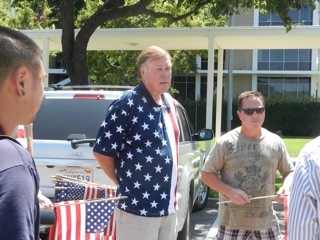 Chamber of Commerce Liaison Brent Stoll also attended. 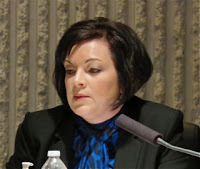 In addition to Taboada, members Kathleen Brown, Leah Ersoylu and Flo Martin were absent, as were City Council Liaison Katrina Foley and Newport Mesa Unified School District Liaison Dr. Kirk Bauermeister. Outstanding staff support has been provided by Director of Public Services Ernesto Munoz, Transportation Services Manager Raja Sethuraman, Associate Engineer Pritam Deshmukh and Engineering Technician Elizabeth Palacio. Representatives of the consulting firm Stantec also provided support. Five (5) members of the public attended. As I've said before, this group was a pleasure to watch work. Each of them took the task seriously, did their homework and worked diligently as a team to carefully craft the document that is their work product. The full document will be available for viewing on the City website within the next few days, but here's a list of the six goals they produced and the objectives for each. The policies that also were part of this work product can be viewed on the website when it's posted. Goal 1.0 - Promote a Friendly Active Transportation System in Costa Mesa. Objective 1.1 - Expand, Enhance, and protect the existing bicycle and pedestrian network to provide a comprehensive system of Class I, Class II, Class III and Class IV facilities to increase connectivity between homes, jobs, schools, transit and recreational resources in Costa Mesa. Objective 1.2 - Provide end of trip facilities that support bicycle network. Provide a safe, convenient and attractive bicycling and pedestrian environment. Apply design standards, enforcement of traffic laws, maintenance practices and safety awareness campaigns to encourage and increase the use of bicycle and pedestrian facilities. Objective 2.1 - Develop bicycle and pedestrian facilities with approved uniform design standards, and implementation of wayfinding signage providing information on various destinations. Objective 2.2 - Continue and expand enforcement activities that enhance safety of bicyclists on bike paths and roadways. Objective 2.3 - Maintain bicycle and pedestrian facilities that are clear of debris and provide safe conditions for all users. Objective 2.4 - Increase education of bicycle and pedestrian safety through programs and training of school children and public. Goal 3.0 - Integrate Active Transportation Elements into Circulation System and land use planning. Provide bikeway and walkway facilities that are integrated with other transportation systems and land use planning decisions. 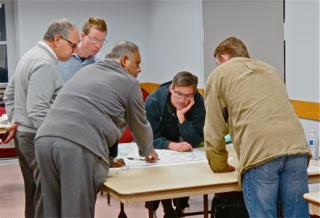 Objective 3.1 - Consider bicycle and pedestrian facilities during land use planning process. Objective 3.2 - Integrate bicycle and pedestrian facility improvements during planning, design and implementation of transportation projects. Develop educational and promotional programs to increase bicycle and pedestrian usage that respects and accommodates all users to foster a more balanced transportation system. Objective 4.1 - Encourage more people to walk and bicycle by supporting programs that foster community support for bicycling and walking and raise public awareness about active transportation. Goal 5.0 - Promote the Positive Air Quality, Health and Economic Benefits of Active Transportation. Encourage active transportation by promoting air quality, health and economic benefits, and by pursuing multiple sources of funding for active transportation programs and facilities. Objective 5.1 - Improve air quality, public health and reduce ambient noise by promoting Active Transportation programs. Objective 5.2 - Provide Economic Incentives for expanding and enhancing bicycle and pedestrian facilities. Goal 6.0 - Monitor, evaluate and pursue funding for implementation of the Bicycle and Pedestrian Master Plan. Observe and assess the usage of the bicycle and pedestrian facilities periodically and pursue funding for projects that will help achieve the overall implementation of the Bicycle and Pedestrian Master Plan. Objective 6.1 - Continuously monitor and evaluate Costa Mesa's implementation progress of the Bicycle and Pedestrian Master Plan policies, programs and projects. Objective 6.2 - Pursue grants and other sources of funding for bicycle and pedestrian projects. 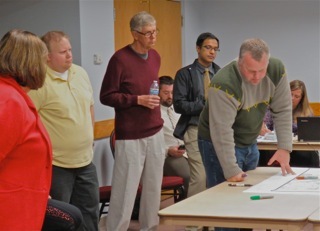 Following the fine-tuning of Goal #6, the committee broke into groups and evaluated maps for possible bicycle and pedestrian routes and features throughout the city, then reconvened to report the group results. Those suggestions and recommendations will be blended with the results of a similar exercise from previous Bicycle workshops by the staff and consultants and reviewed in January. As mentioned, the committee voted to NOT meet again this year, but will hold their next meeting on January 5, 2016. Munoz suggested that the Chair and Vice Chair make the formal presentation of their Goals to the City Council at an early meeting next year. Kudos to all the members of this committee, the staff and liaisons for a job well-done. The foundation they laid will make the fun part of this assignment much easier. I know they all look forward to whatever the next steps for this committee might be. 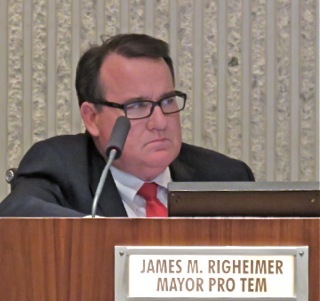 The Costa Mesa City Council met Tuesday night for the last meeting of the year under the "leadership" of a sniffling Mayor Steve Mensinger, who was obviously fighting a cold. He was hacking and barking like a sea lion show at Sea World. Anyhow, back to the sparsely-attended meeting. While most items ON THE AGENDA went about as expected, the meeting was not without some interesting moments. During Public Comments Tea Party Tom Pollitt stepped up to criticize the council for their funding plans for the posed new library. Then he soundly criticized Councilwoman Katrina Foley for her behavior at the last meeting - you will recall that she sparred with Mayor Pro Tem Jim Righeimer because he was commenting on the Police Association contract, which she felt was inappropriate considering the fact that he and Mensinger are suing the men and women of the department. Pollitt, who never ceases to amaze me with his vacuousness, demanded an apology from her on behalf of all residents of the city. Well, Tom, you DON'T speak for me, pardner! Keep your demands to yourself! He then ranted about the police contract. Dylan Worth (sp? ), a Canyon Drive resident pleaded with the council to do something about the reconfiguration of that street due to recent sidewalk installations. Seems rain water from the entire length of the street now routes directly into his driveway, which is below grade of the street. Mensinger directed Director of Public Services Ernesto Munoz to fix it. Cindy Brenneman spoke about the Toy Drive for the 1/5 Marines and told folks they could drop toys off at the First Friday Roadshow, this Friday in the City Hall parking lot. 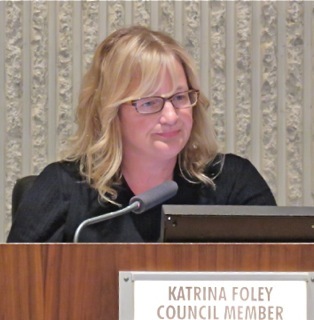 She also complimented Foley for her comments at the last meeting. Greg Thunell accused the council of playing a "political shell game" when it comes to affordable housing. Chuck Perry apologized for spreading an unsubstantiated rumor at the last meeting about the demise of the Boys and Girls Club. An unidentified speaker provided her Christmas Wish List - Wisdom for the council; a full staffing complement for the Fire Department and continued operation of Station #6; a fair contract for the CMPA; council support for the CMPA and CMFA; Keep paramedics, not outsourced to Falk - the company that owns CARE Ambulance and G4S Secure Solutions, the outfit who provides outsourced Jail Services to us. She also reminded folks that Costa Mesa First is still collecting signatures for the so-called Smart Growth Initiative and will be at Harper School and also at the corner of Bay and Orange this weekend, plus folks will be walking the Eastside with petitions this weekend. She also complimented Foley for her comments last time. 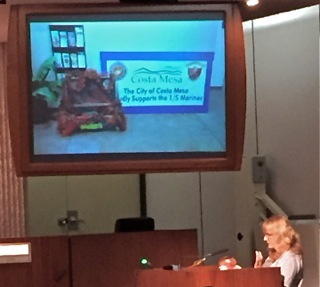 Beth Refakes made her final pitch for the Toy Drive for the children of the 1/5 Marines. Collection box is in the City Hall lobby for unwrapped, age-appropriate gifts. Tamar Goldmann observed that the meetings involving the General Plan update - the so-called Great Reach - provided choices from bad to worse. At that point Mensinger turned the meeting over to CEO Tom Hatch, who apparently had scheduled some non-agendized presentations. 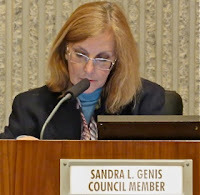 This caused Councilwoman Sandra Genis to caution Hatch about this practice because it usually generated many comments by the council members and sometimes resulted in direction being given. He contention was that these things should at least be listed as discussion items under his comment time. 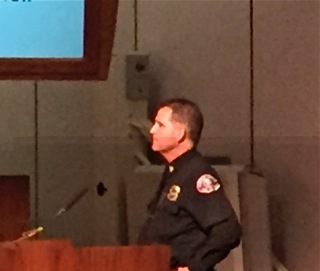 Then Fire Chief Dan Stefano provided a short summary of what is coming up regarding the much-awaited 17 point plan. He told us they had just - that day - received the final report from the consultants and had not yet digested it, but would do so and he and Hatch would have a report to the council this week, so they all could mull it over before the next time it is discussed, sometime in January. That launched Righeimer into low earth orbit, demanding that the report include consideration of EMTs on private ambulances. Most folks who have been paying attention to this realized this was an overt attempt to protect one of his major campaign contributors - CARE Ambulance. Genis pointed out that this was precisely what she cautioned about, but he just kept on yapping. Sound familiar? It should... that's what he did with Foley at the last meeting. Stefano attempted to side-step the demands, indicating their focus was the consultant's report, but that they would try to fold in information he was asking for, but Righeimer just kept on firing away. At one point he demanded Hatch provide that information and, when Stefano attempted to provide a response, he curtly said, "I'm talking to the CEO!" The back-and-forth continued, with Genis, again, pointing out what was happening and Councilman Gary Monahan coming to Righeimer's aid, indicating he had asked for this information in the past. Mensinger also sniffed a similar message. Then Pension Oversight Committee Chairman Jeff Arthur made yet another non-agendized presentation on the status of the City's pension situation, none of which is apparently available on the City web site. He told us the City pension obligation is 65.1% funded and attempted to explain how we got there and what it will take to fix the problem. Because of the variables - like CalPERS recently announcing a reduced return projection - there is no solution, yet. And then Information Technology Director Steve Ely made yet another unagendized presentation on the new online Capital Improvement Projects website, HERE. This issue, like the other three, SHOULD have been placed on the agenda so residents would know they would be discussed and attend the meeting to hear about it. This "stealth" scheduling is getting to be a very nasty habit, and it's hard to understand. During her segment Genis observed Item #4 on the Consent Calendar - the consulting contract with Lilley Consulting, and asked about staffing issues. 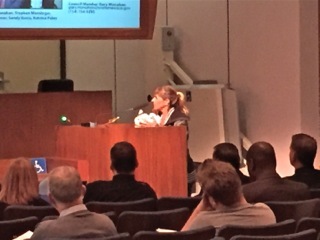 She invited the public to "tell us what you want" in the Envirnmental Impact Report for the General Plan update. She also mentioned that the Vector Control District will be doing some spraying around the county. She also expressed strong concern about the Humane Society - the organization Newport Beach recently decided to drop as a source for animal control - and opined that the City should keep an eye on it. HE ACTUALLY HAD SOMETHING TO SAY! 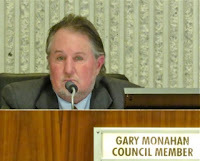 Monahan concurred with Genis about the notification of presentations under Hatch's segment, and suggested to Hatch that the agenda should at least show a line item of such presentations so the public would know about them. He mentioned the Snoopy House, wished everyone a Merry Christmas, confirmed the need to do something about the Canyon Drive drainage problem, briefly discussed the 17 point plan and Righeimer's request and told us the contract negotiation information for public safety units is available online. Righeimer was uncharacteristicly brief, and only spoke about driving his girls around town to see the new "product" available to homebuyers. Mensinger, said he'd keep it brief, too, but thanked Refakes for the Toy Drive, said outsourcing paramedics is not up for discussion and directed Munoz to follow-up with the Canyon Drive issue. Foley expressed concern about the filthy condition of the bus stops around town and asked Munoz to follow up with the contractor and demand they do their job. She also asked for a copy of the contract. Among other things she spoke of her 7th annual coat drive. 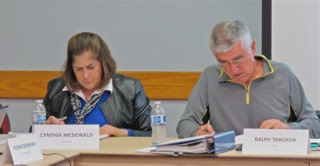 Items 1,4 and 9 were pulled from the Consent Calendar for discussion and trailed to the end of the meeting. Public Hearing #1, the trip fees issue, took much longer than I expected - 30 minutes. One sticking point was the incentives included in the formula. Foley and Genis thought that was problematic because it certainly appears that developers don't need to be incentivized. And, Genis expressed concern that these fees are a decade old and probably not keeping up with the actual costs. After long discussions and a substitute motion made by Foley and Genis failed, the item passed on a 4-1 vote - Genis voted no. Public Hearing #2, which dealt with the impact of Assembly Bill 1826, which requires Organic Recycling by commercial businesses as of January 1, 2017 - it will be enforced in April - generated only a brief discussion and passed the first reading of the new ordinance, 5-0. It cannot receive the second reading until January, so it will go into effect in February. Still, according to Munoz, we have a system in place - the requirement that all carriers in the city comply with the state law - so we meet the requirements. New Business #1, the 10-unit development at Charle and Bernard Streets, had received some massaging by the developer and the result was a much better project than originally proposed. This was a screening request, which required no vote, so the developer will move forward. The trailed items from the Consent Calendar were next. The person who pulled #1 had left, so that was promptly dispatched on a 5-0 vote. 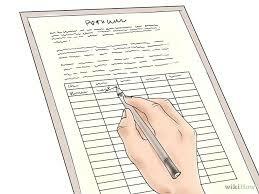 Item #4, the Lilley Contract, prompted questions by Foley of staff about our hiring process. Hatch made a feeble attempt to respond, observing that we hire people, then they leave. Geez, no kidding! Assistant CEO Tammy Letourneau responded that we have between 57 and 60 openings presently, and that the two Planning positions in question would have to be re-prioritized. She told Foley she would get back to her Tuesday (today, as it turns out). She mentioned that we're constantly re-prioritizing. An observation... I've heard from several sources within City Hall that ever since the so-called General Employees had a contract approved that effectively took them back three decades from a wage and benefit standpoint, Costa Mesa has become a revolving door for folks in that group. New folks are hired, stay a short time, then leave for much greener pastures with a little experience under their belts. You can thank the council majority for that loss of experience and the costly process of replacing them. Item #9, pulled by an absent person, was promptly dispatched on a 5-0 vote and Mensinger coughed out Christmas greetings and closed the meeting at 8:25 p.m.! That it now until January 5th. 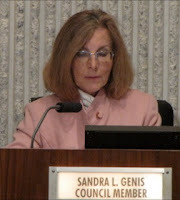 Tonight the Costa Mesa City Council will meet for their first meeting of the month and their LAST meeting of the year. The next full City Council meeting will be on Tuesday, January 5, 2016! The meeting tonight begins at 5:45 in City Council Chambers at City Hall. You can read the agenda HERE. This one just might be a short one, but we never know. There are only two Public Hearings and one item of New Business, but let's start at the beginning with the good old Consent Calendar - items considered routine so they CAN be considered in one vote unless someone - a council member, staff member or member of the public - pulls an item for separate discussion and vote. I won't address all of them, but will comment on a couple that are fascinating. As has been the case for a few years, we continue to rack up legal service AND, of even greater concern, we continue to pay expensive consulting/temporary services to fill holes in the organization because we simply cannot keep up with the hemorrhaging of experienced staffers throughout City Hall. There are a couple items further down the Consent Calendar that provide exclamation points to that problem. We had more than 50 open positions in the city at the start of this week. Item #4, HERE, is a professional services agreement with Lilley Planning Group for $93,000 (plus extensions) to backfill vacancies in the Planning Division. Item #9, HERE, is a professional services agreement for $906,218.00 for construction management services for various projects - Fire Station #1, City Council Chambers and related projects. Public Hearing #1, HERE, is a no-brainer. It's the annual review of the citywide traffic impact fee program and the staff recommendation - again - is to leave it alone and continue the same charge of $181 per Average Daily Trip. "The City’s authorized waste haulers set their charges based upon the competitive market (a benefit to clients of the non-exclusive franchise system), and therefore their costs of compliance with the program will likely be passed on to their clients." This is the City Council's first cut at this project. The discussion should be VERY interesting. Fingers tightly crossed for a short, collegial council meeting. Let's hope there are no more public displays of arrogant, vindictive stupidity as was displayed by the Mayor Pro Tem last time. What are the odds? 70/30 against... I actually expect the mayor to break the gavel presented to him by the mayor pro tem as he demands order and calls for a break. Of course, he's yelling at the wrong person most of the time. 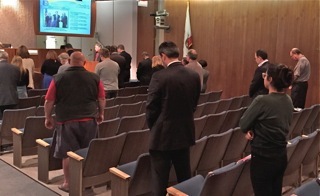 Last night a very sparse crowd - a word used very loosely in this case - attended the General Plan Update Environmental Impact Report Scoping Meeting in City Council Chambers at Costa Mesa City Hall. The meeting began promptly at 6:00 p.m. with only nine (9) people in the audience, including one member of the working press. Some people arrived late, but the maximum number of folks in the seats - excluding consultants and staff - was eighteen (18). That seems like a pretty dismal turnout for a city of well over 100,000 residents, particularly when you consider the potential impact of decisions made as a result of input provided at this meeting. I was pleased to see rookie Planning Commissioner Stephan Andranian in the audience, taking the pulse of the process. 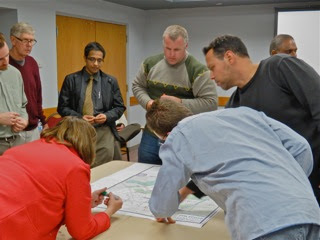 Consultant Laura Stetson, who has been part of this General Plan Update process for more than two years, guided the conversation and was supported by City staffers Principal Planner Minoo Ashabi, Assistant Director of Development Services Claire Flynn and Transportation Services Manager Raja Sethuraman. You can read the staff report covering the General Plan Update process HERE, and the report with the specifics of this particular meeting HERE. 1) The Fairview Developmental Center property, proposed to accommodate up to 500 new residential units at specified densities and 25.6 acres of active open space uses. 2) South Harbor Boulevard, with a new proposed Harbor Boulevard Mixed-Use on select properties, allowing up to 20 units per acre and a maximum floor area ratio (FAR) of 1.00 to 1.25. 3) The Segerstrom Home Ranch property to allow up to 1.2 million square feet of development at a maximum FAR of 0.64 for corporate headquarters and FAR of 0.54 for commercial/retail uses. 4) The site of the former Los Angeles Times printing operation, proposed to be redesignated as a commercial land use designation to allow a maximum FAR of 0.64 for corporate headquarters and FAR of 0.54 for commercial/retail uses. 5) Sakioka Site 2 at Sunflower Avenue and Main Street, proposed to allow residential development at up to 80 units per acre but not to exceed the existing total unit allocation of 660 units and not to exceed the established trip budget. 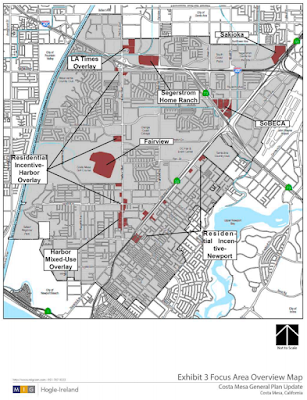 6) Harbor Boulevard Residential Overlay, which proposes an overlay on targeted sites to allow up to 40 units per acre (without any changes to the base zoning districts. 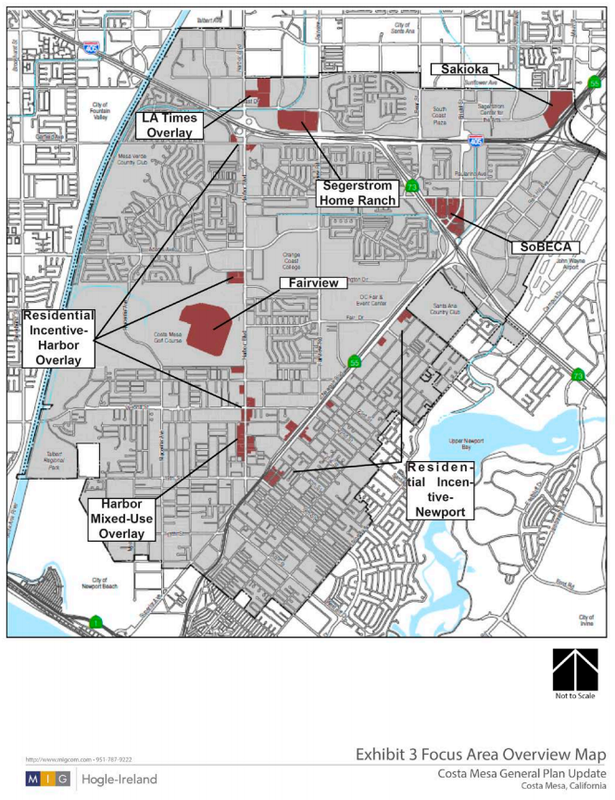 7) Newport Boulevard Residential Overlay, which proposes an overlay on targeted sites to allow up to 40 units per acre (without any changes to the base zoning districts). 8) SoBECA Overlay, which proposes up to 40 units per acre and a maximum residential unit count of 450 units within the SoBECA Urban Plan area. There are specific images in that report for each of those areas. 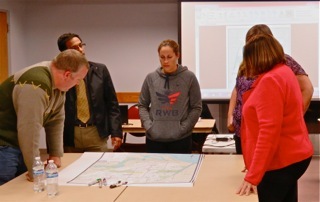 Several members of the Bikeways and Walkability Committee, including Chairman Ralph Taboada and Vice Chair Cynthia McDonald, attended this meeting and were active participants in the discussion. Early in the proceedings Stetson mentioned that the work product of that committee - which has been working hard to meet a year-end deadline - will be included in the Circulation Element of the General Plan Update. 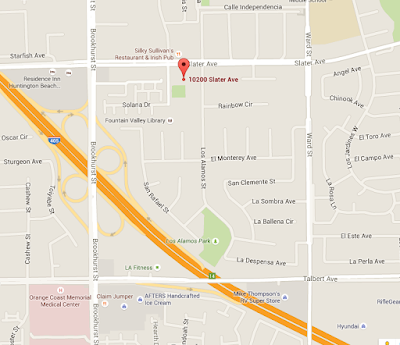 That committee meets Wednesday evening, beginning at 6:30 p.m., at the Costa Mesa Senior Center. Members of the audience asked many questions. Among them were concerns about density and traffic impacts of the proposed sections of this update, both nearby the project sites and in a broader context. 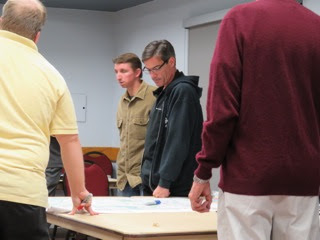 Others, a few of whom had attended all the previous meetings and workshops on the General Plan Update over the past couple years, were concerned because it appeared that very little, if anything, that was expressed as concerns by residents in those meetings have been included in this process. I attended most of those meetings and the prevailing message expressed by participants was their desire to see less development, not more, and much, much less traffic. DESIGNED TO MEET THE MAJORITY GOALS? Some expressed concern that many of the project elements seemed to amplify and codify as part of the General Plan the clear intent of the current City Council majority - and their surrogates on the Planning Commission - to increase housing density in many parts of the city. In the minds of a few of them, this is a "done deal". When asked about the individual project areas, Stetson told us that this was the direction provided by the council at their October meeting. 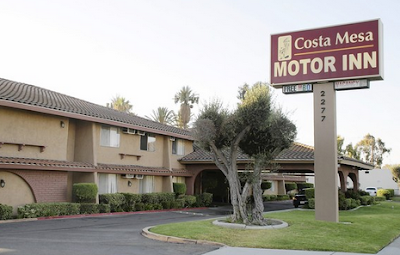 Mention was made from the audience of the Costa Mesa Motor Inn project, which exacerbates our renter/owner imbalance by adding 224 luxury apartments and received a density bonus normally reserved, according to Stetson, for projects which include an affordable housing element. Although few people attended this meeting, which ended after about 75 minutes when it was clear all the questions had been asked and concerns expressed, anyone with concerns/questions/suggestions may write to the City at the address shown on this slide. The deadline is Thursday, December 17, 2015. And, coincidentally, Claire Flynn's name is misspelled on the slide. In an interesting sidebar, supporters of the so-called "Smart Growth Initiative" were circulating the petitions for that initiative on the City Hall porch last night, too. This initiative exists, at least in part, because folks feel disenfranchised from the development process and overwhelmed by what they preceive as out-of-control development. 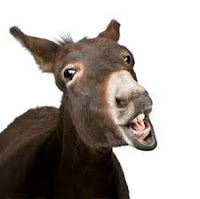 I suspect those supporters in attendance at that meeting did not come away from it feeling any better.